"Readers" of the nine bestselling Mitford novels have been captivated by Jan Karon's ?gift for illuminating the struggles that creep into everyday lives?along with a vividly imagined world? ("People"). Millions have relished the story of the bookish and big-hearted Episcopal priest and the fullness of his seemingly ordinary life. 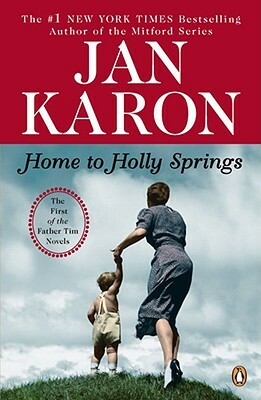 Now, in the first novels of a new series, Jan Karon enchants us with the story of the newly retired priest's spur-of-the-moment adventure. For the first time in decades, Father Tim returns to his birthplace, Holly Springs, Mississippi, in response to a mysterious, unsigned note saying simply: ? "Come home."? A story of long-buried secrets, forgiveness, and the wonder of discovering new people, places, and depth of feeling, "Home to Holly Springs" will enthrall new readers and longtime fans alike.